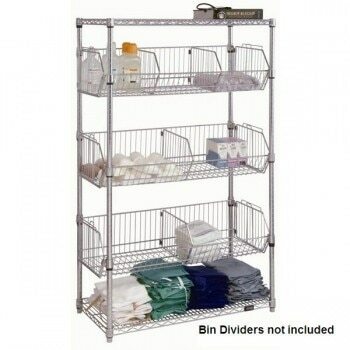 Shelving Direct offers one of the largest online selections of NSF-approved chrome wire shelving units and equipment. Craft your own racks choosing among a wide variety of dimensions and dispositions and complement them with any of our multiple accessories in order to create your perfect wire shelving solution. Sometimes, some matches just seem to be made in heaven. Our wire storage racks are the perfect combination of safety and visually attractive structures for both professional and personal storage. This system is a complete solution. Whether you are looking for a certified and hygienic installation, a high level of ventilation with easy access to the goods or an iconic piece of industrial design, our wire shelving is the answer you are looking for. From large warehouses to personal pantries, these structures are a highly dependable storage system for very different installations and needs. Setting up our wire racks is a simple process. Their assembly is easy and no special tools are required. 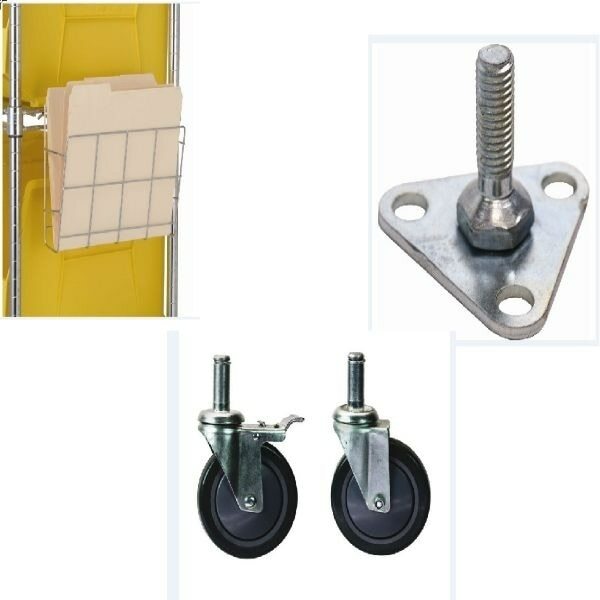 In fact, attaching the racks to the walls can be the most time-consuming part of the installation since they need to be secured tightly for a better stability and durable results. 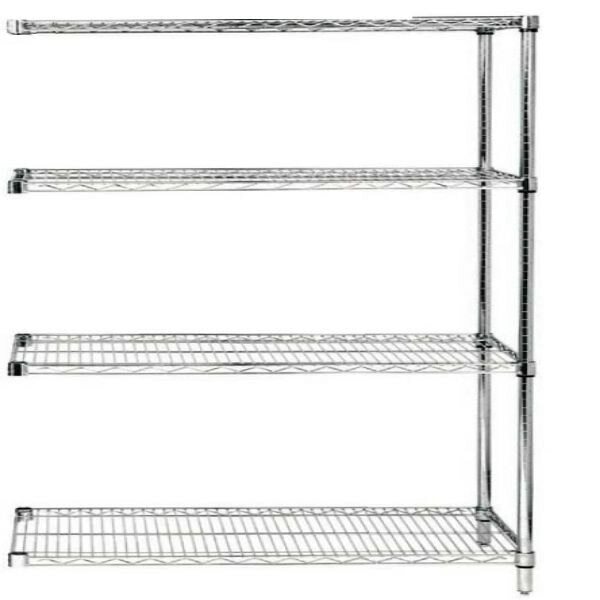 Detailed instructions are provided when purchasing these chrome wire shelving units, with step-by-step directions for their assembly. NSF (National Sanitation Foundation) provides a certification that guarantees the safety and cleanliness of chrome wire units. 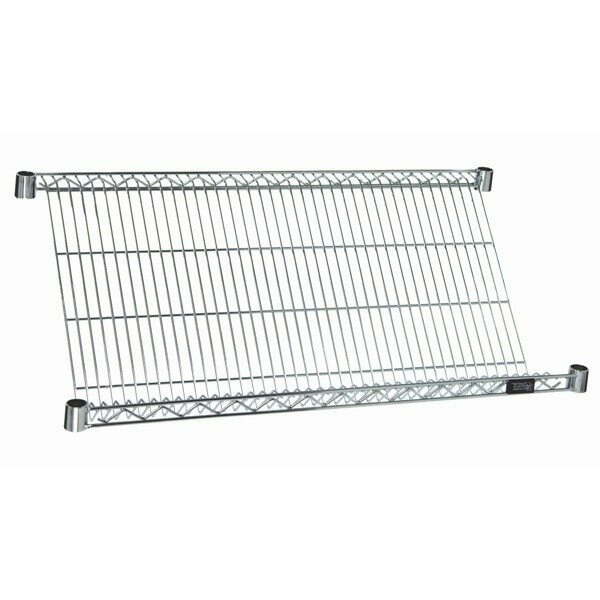 All our wire shelves are NSF-approved. All our wire racks and their accessories meet this standard of quality and, therefore, they are the perfect option for storing goods that need a special care and safe conditions. 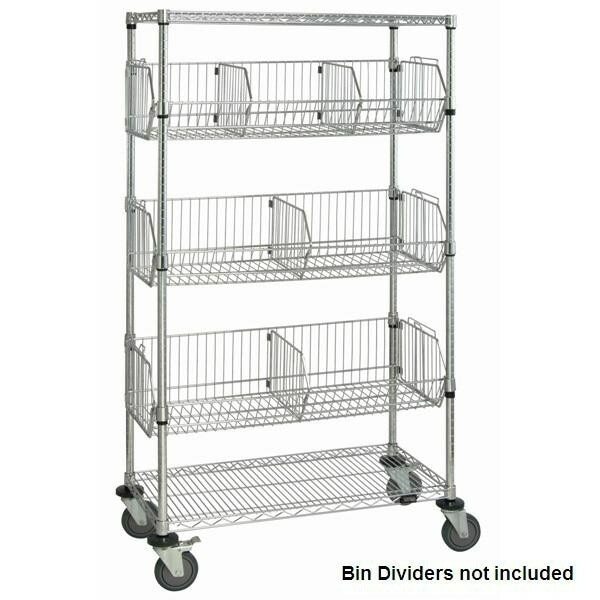 Make sure to check the weight and size specifications, especially when you need to keep your wire racks mobile with casters for a space maximization and practicality.